The human genome project cost $3 billion and attracted high expectations about the impact its completion would have on human health both in treating disease and revolutionizing drug development. The greater affordability of and advances in sequencing technology made since the project was completed in 2003 (see “Human Genome at 15,” page 40) has made it much more accessible. For example, the U.S.-initiated Personal Genome Project and the U.K.-based 100,000 Genomes Project, among others, are making use of whole-genome sequencing (WGS) to advance personalized medicine research. Today, bulding on the development of direct-to-consumer genotyping tests such as those provided by 23andMe and Color Genomics, it is now possible for individuals to access WGS directly. Veritas Genetics, co-founded by Personal Genome Project founder and Harvard researcher George Church, Ph.D, will sequence your genome for $999, albeit in collaboration with your physician. Other companies such as U.S.-based Sure Genomics and Europe’s Dante Labs also offer similar options to consumers. 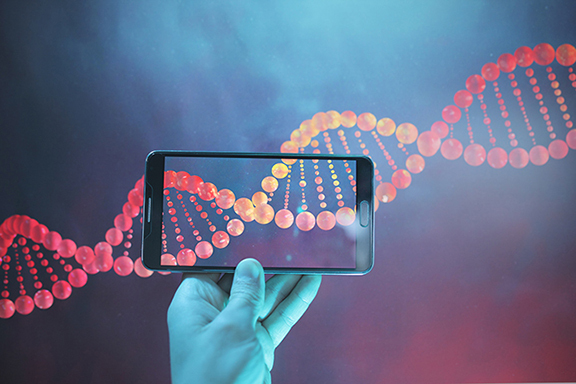 WGS on a wider scale clearly has the potential to help develop more effective and wide ranging personalized medicine, there are concerns about how best to protect those who undergo sequencing from data misuse or genetic discrimination. There are also important ethical and regulatory issues that need to be considered. Church set up the Harvard Personal Genome Project in 2005, which now has more than 5,000 participants. It is designed to be an open, shareable resource for researchers. In 2012, the project was extended to Canada, and since then has opened additional centers in the U.K., Austria, South Korea, and China. Preston Estep III, Ph.D, is chief scientific officer of Veritas Genetics, which has links to the Personal Genome Project. Veritas currently reports on a small set of very reliable genetic traits and associations. These include carrier status of pathogenic recessive alleles and information on efficiency of drug metabolism. Estep explained that Veritas provides a private option for individuals who do not wish to make their genetic information publically available through the Personal Genome Project. In the age of epigenetics, genetics is only one factor influencing health. Joe Grzymski, Ph.D, and colleagues from the Desert Research Institute and Renown Health in Nevada are sampling genomic data as part of an integrated public health program, the Healthy Nevada Project, which is looking at population and environmental health factors, as well as genomic data. The pilot phase of the project enrolled 10,000 people and finished in Dec 2017. The extended phase will recruit early this year and is aiming to include 40,000 people with all participants undergoing exome sequencing.